that's a LOT of cakes! How lovely Jooles, this is the best bedside posy yet. 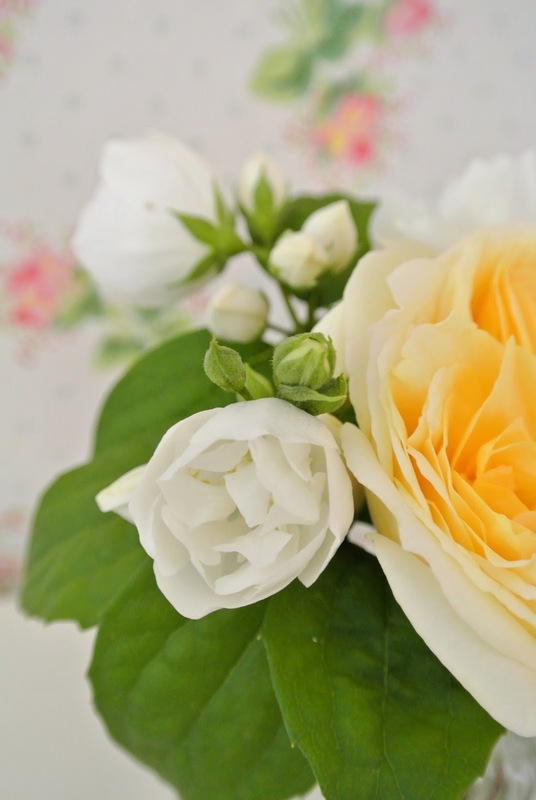 The rose is beautiful and it's the perfect partner to the white Philadelphus that your neighbour has been so kind to share :o) Enjoy the rest of the week and have a wonderful weekend. So pretty. I love yellow roses, they're my favorite of all. The Yellow is so tender. Such a pretty yellow! Enjoy the birthday celebrations! Oh, how pretty that rose is. We no longer have roses in the garden - I suspect I've mentioned that before - and it does make me sad. Beautiful! I imagine the scent is heavenly, as we have some philadelphus in our front garden that smells divine. Your bedside posy is beautiful and inspiring. I made one yesterday and put up a photo on my blog ( at the end of the post). Lots of birthdays being celebrated around you. Such fun! 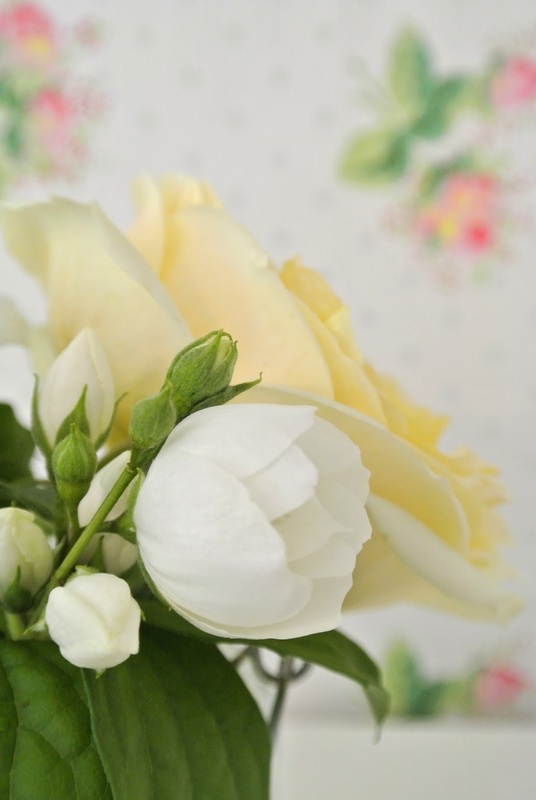 It's so pretty Lorrie, the white rose in GORGEOUS, it feels like such a treat having flowers by your bed doesn't it? Hope you had a lovely birthday Jooles .... I can smell the scents from your divine posy here in my crafts room in SA !!! Such a gorgeous posy, Jooles! I can just imagine that delicious combination of scents! Hope you are having a happy week.